Where: Downsview Memorial Parkette, 1092 Wilson Ave. 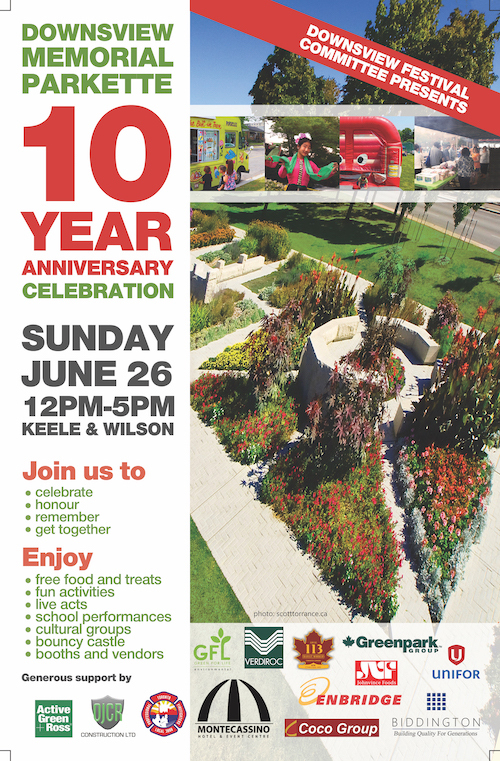 The community is celebrating the 10 year anniversary of the Downsview Memorial Parkette. This award-winning park is a community hub, a memorial space for Downsview’s fallen World War II soldiers, and a commemoration space for Downsview’s Aerospace heritage. Join us in celebrating with arts, local talent, music, a full festival, attractions, a sound stage, unique food, and more.